We’re not sure what it is about this time of year that puts a lot of MMOs in hibernate mode. Maybe there’s some odd connection with bears that as soon as winter starts approaching they find a cave and sleep until the spring rolls in. While there are things going on out there in MMO-land nothing has really been jumping out as us as being big time news. Even with that said we do have a couple things to share in case you missed it. If you haven’t had the pleasure of playing Runic Games’ Torchlight than I suggest you hop on steam and grab the demo and give a test run, you won’t disappointed. So of course it would be exciting then to know that an MMO version of the indie action-RPG game was coming our way, right? Maybe until you found out that it’s about two years out still. The good news however is that when it does finally release, it will be using a free-to-play subscription model. “It will be indeed free to play, and will be out in about 2 years. We like to get alpha and beta versions up and running as quickly as possible, though, so hopefully we’ll have a lot of community interaction during the development cycle,” Runic Games CEO Max Schaefer explained. 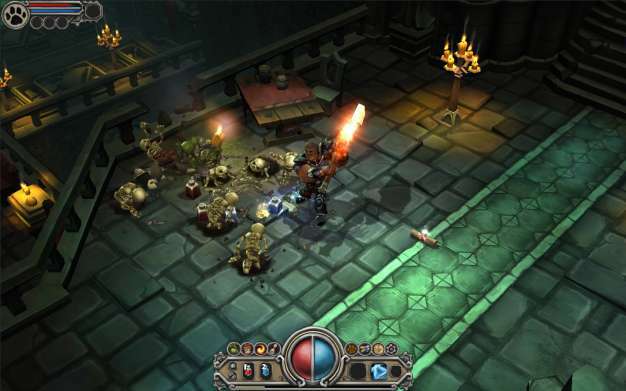 Despite that news the prospect of a Torchlight MMO is very exciting indeed. If the quality of the MMO version of the game meets or exceeds the quality of the single-player counterpart then we’re all in for an amazing new free-to-play MMO. Schaefer also enlightened us on what type of gameplay we could expect from the, “It will feature a lot of customization, an overworld, random and instanced dungeons, PVP and much more.” He wasn’t clear on what kind of customization we would see, I guess we’ll have to wait and find out. 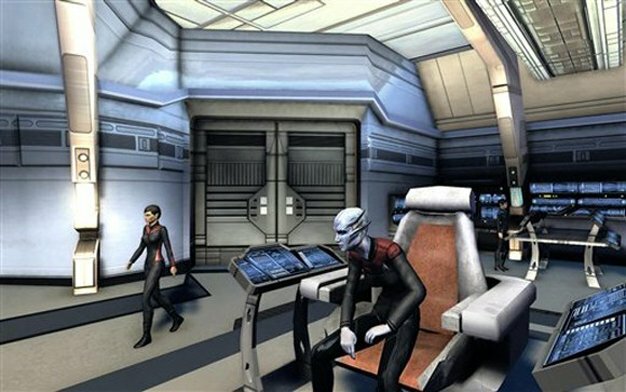 I don’t think it ever occurred to us that an MMO based on Star Trek would not feature a bridge of some kind, so needless to say we’re not shocked to discover that Star Trek Online will in fact feature bridges. Apparently however it wasn’t always part of the plan and Cryptic initially decided to not include any interiors at all. We didn’t want to have interiors at launch. “We thought it was just a little bit too much. We really wanted to make sure we delivered a really deep experience, but your bridge not being in the game, it really felt like a hole in the game, and it was just something that we had to put in,” explained executive producer Craig Zinkievich. At the very least though it appears that Cryptic was at some point going to add interiors and bridges at some point in the games life, just not at launch. With that said we’re happy that Cryptic decided to add them in now as the bridge is an essential part of the Star Trek experience. The game will launch with 20 different bridge designs which should give aspiring captains enough choice on their optimal bridge set up. 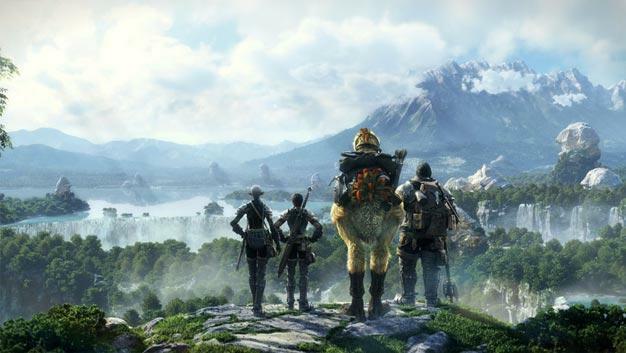 Like Star Wars: The Old Republic, the good folks over at Sqaure Enix are slowly revealing the classes for Final Fantasy XIV. This week brought us to new reveals in the Gladiator and Pugilist. The Gladiator is what you would expect, sword and board wielding melee combatant with heavy armor designed to deal a beating all the while taking one for the team. The Pugilist is a different story however. The best way we can seem to describe the Pugilist is a backstreet brawler type who wears brass knuckles and is highly skilled at kicking the living crap out of you. The combat of the Pugilist will be very close quarters as the class as no range capability and is deadly within that close range. Guild Wars 2 is coming in 2011. Subscribe to Age of Conan and get beta access to The Secret World. There is a nice Mission Architect contest going on in City of Heroes, go win you something!